Valentine’s Day is right around the corner, and Capone’s Dinner & Show has a sweetheart of a deal for you and yours. Saturday, February 14th the guys and gals will perform two shows – one early and one late. Both offer a V.I.P. package for those of you wanting to spring for a little extra. 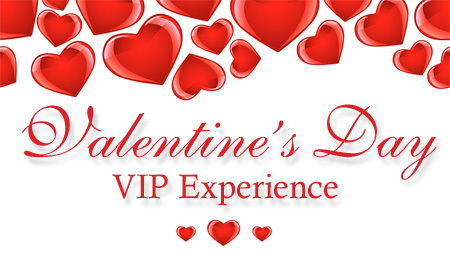 Not only is this Orlando dinner show a perfect place to bring a date, it is also a perfect place to celebrate Valentine’s with your entire family. That’s right! The show is suitable for all ages, and the ticket price makes it an affordable night out for all. Regular rates are $63.99 for adults and $39.99 for children (ages 4-12) and free for children 3 and under. However, you can mention the internet special when calling in your reservation and receive 50% off or purchase your tickets online and get them at half price. Your ticket purchase covers everything except gratuity! Where else can you go on Valentine’s Day and only spend $31.99*/adult and $19.99*/child and get all of this? Capone’s is a speakeasy that includes a lot of stand-up comedy. There is romance, if that is what you are looking for. Plenty of action for the little ones to keep them interested, and tons of laughs for everyone. The show also consists of singing, dancing and audience interaction. During the action, a good ol’ gangster shoot out is bound to happen. Hint: These are not your standard-issued Tommy Guns. Guests want to walk away with these bullets! Our sides are still hurting and we’re not sure if it’s from the amount of food and endless drinks our waiter Mickey kept supplying, or from the amount of laughing we did! Your show is excellent, from the way you’re greeted when you enter Capone’s through to the end of the show it’s a whole night of entertainment at an amazing price, the cheapest and best show we have seen! Well done to everyone involved, we look forward to seeing you again soon and will recommend you to anyone visiting. Avoid a “Valentine’s Massacre” and celebrate Valentine’s Day at this spectacular Orlando dinner show. Don’t delay another minute – CLICK HERE – and make a “commitment” to spend Valentine’s Day with a fun, loving group of mobsters and dames. The gang at Capone’s Dinner & Show will treat you like a VIP and make your special date an evening to remember. *plus tax. Please Note: Infant tickets are not available in VIP seating.